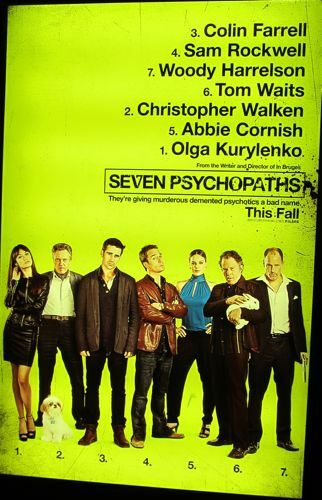 First one sheet has been revealed for Martin McDonagh's 'Seven Psychopaths' at the annual exhibitor's convention known as CinemaCon. The film stars Colin Farrell, Woody Harrelson, Abbie Cornish, Sam Rockwell, Christopher Walken, Olga Kurylenko, and Gabourey Sidibe. The film is set to be released sometime in the late 2012.